Not many Pakistani entrepreneurs get a chance to make it to Silicon Valley, the world’s biggest battleground of the unicorns. Even the ones that do, do so by working for other companies and startups — not to fulfill their own dreams. However, there are very few Pakistanis that not only make it to Silicon Valley with their own startups, but also manage to capture a market and give tech giants like Microsoft a reason to jump in competition with them. RemoteInterview, co-founded by Munir Usman and Asad Memon, is one of those startups. Munir is the person behind RemoteInteview.io, a virtual interview tool for conducting online coding tests & interviews. Born in Karachi, Munir didn’t come from a very privileged background. His parents had never gone to college but had a vision of giving their kids higher education despite all sorts of obstacles. It was in his college days that he became seriously interested in programming. Bunking classes and lectures to spend time in the computer lab became a norm for him. Thanks to this, Munir managed to score a full scholarship for his BS in Engineering from FAST-NU, Karachi. Although he chose Telecommunication Engineering, he soon lost his interest in it, regretting his choice to not take up Computer Science. “It would have cost me money to change my major, so I decided to just bunk classes and spend more time in learning computer science on my own,” said Munir. He barely passed other courses but scored big in programming and logic, also winning several national and international programming competitions for his university. At the age of 23, he was awarded Microsoft Most Valuable Professional (MVP) in C#. After graduation, he worked as a Software Developer for a while before opening Pi Labs, a software services company. It was at Pi Labs that Munir met Asad Memon who, then a developer for Pi Labs, would later join RemoteInterview.io with Munir as a co-founder. “Asad was not only a skilled developer but also totally aligned with the vision of the new company,” adds Munir. However, he hated to see most of his team’s time being spent on technical screenings of developers so they built a kind of remote-interviewing platform. They started building tools to make the technical screening process more efficient and automated. After solving their own internal problems, they decided to polish the tool and launch it for other companies as well. A while later, Munir got the chance to attend Draper University’s 7-week program, teaching business and entrepreneurship in Silicon Valley. After attending the program, he came back to Pakistan with a new vision to transform his company from merely a service-provider a to scalable product. His experience at DU convinced him to completely do away with Pi Labs and start a new company focused around a virtual interviewing platform for software developers. RemoteInterview.io is now one of the leading virtual-interviewing platforms for software developers all around the globe. They offer features like online code-editors, screening tests, and more. They offer a free version with a Pay As You Go model as well as an annual business subscription. Featured in major news publications including Forbes and TechCrunch, they have clients in over a thousand cities. Some of their biggest paid customers include AT&T, Line Corp., WorkDay, InstaBridge, and more. Caption: Remote Interview screening platform helps companies vet candidates automatically based on candidates’ technical skills. The company itself works remotely with employees in five different locations. Munir himself is based in San Francisco, California, after being granted United States Permanent Residency in the category of “alien with extraordinary ability (EB-1A)”, which is the rarest form of Green card. Meanwhile, their core development team resides in Pakistan and is led by the co-founder Asad Memon. With a stable product now, and good initial traction, our future plan is to expand our sales and marketing operations. The market for remote interviewing platforms is even bigger now, with more and more companies opting for online interviews to save time as well as costs. Munir’s startup is directly competing with HackerRank, Codility, Interview Zen, CoderPad, HireVue’s CodeVue, and now, Microsoft’s Skype too. A couple of months ago, Skype, Microsoft’s premier telecommunication software, also joined the online-interviewing battlefield with their own toolset. Skype now lets business users conduct technical interviews using a real-time code editor in seven different programming languages, quite similar to Remote Interview. We are actually taking it as a positive sign, because growing competition is just a validation that we are working in the right space. Also, it will keep us on our toes to constantly keep innovating and pushing ourselves. Now, facing tough competition from all sides, let’s see what Munir and his team do to make it to the next frontier. Why Showing Israel Flag ??? What Does Mean He Works in ISRAEL Or For Israel ? Grow up. The world is not a biased placed like Pakistan. Any company in the software and technological sector has to prove that they are not biased against any nation, race, religion or ethnicity. They have to treat everyone with respect. This is the first rule of doing business. They have to serve all customers. The world is not like Pakistan. Also Israel is at the forefront of the innovations for the last 30 years. Most of the microchips that we are using are designed by Israeli and Jewish Scientists. If you are a very dignified person then stop using Internet as one of the first scientist who tested this internet at DARPA was a Jew of Israeli origin. 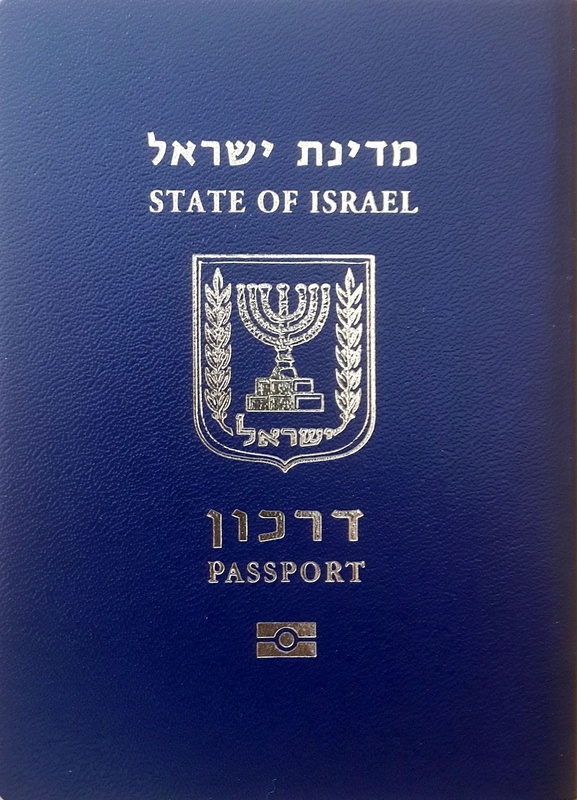 You won’t see Israeli passport with “Not For Pakistan”. I think. Aren’t we bashing Pakistan too much? The world is a BIASED ‘place’. You are out of your depth if you think other countries are doing everything ‘unbiased’ and for only your welfare. No Major tech company is willing to set up any R&D center in Pakistan. Why?. There is something fundamentally wrong here. We have to agree that we have a long way to go. Patriotism is a disease and that is deadly when it transforms into Chauvinism. It is not about what religion people follow and how they live… It’s all about administration, if administration can support, anyone can spend money in your country. And It’s not the molvie or patriotism who destroyed the administration, it’s the corrupt culture which “failed” educated people, who never changed and Phakeer mind which can normally get impressed with any nation. Because there main targets was to earn money, live luxury life and die. Just to let you know. We Kashmiri never asked for your help. Its was you who attacked us before them. Why cant u see the rest of flags on the board. Israel was there as the major fund raiser geeks resides there as well.